In 2015 we had our inaugural Summer Sips and Strokes fundraiser and raised $3,600 which is in the process of going directly into the child cares to get children healthy. We recently closed the request for applications and will be announcing awardees in June. There were over 1,000 applications submitted. What we are doing is needed and is going to have a direct impact on the children! This year Summer Sips and Strokes will be held on August 6, 2016. Save the date and look for more information to come. Follow us on Facebook, Twitter or Sign Up for our mailing list to stay informed. Enjoy some painting with your friends and sipping on some wine as you look out upon the Famous Paradise Cove in Malibu, California. What's better than this? The money you spend not only gets you an afternoon of therapy via paint brushes, wine and the ocean but it is also going to enable child care providers to make our children healthier in their care! Learn more about our mission with this short video (narrated by kiddos), check out the Food Access for Child Care project of which we're a part and read about our planned programs. 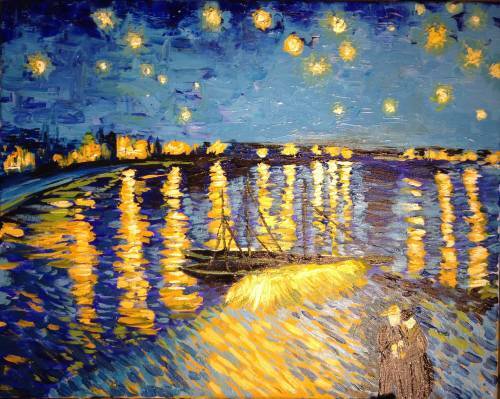 Paint & Sip Studio LA will be our paint-u-tainment for the afternoon. A company with an admirable mission and good wine will be joining us as we gather to raise funds for healthy child care settings. OneHOPE believes that "giving back is good business." This core belief along with their great wines makes them a perfect fit for our Summer Sips and Strokes event. Bonus? If you love the wine and choose to order at the event, you'll be donating to our cause with your purchase! You Couldn't Join Us but Would Like to Donate? You get to paint this beautiful masterpiece on a 16x20 canvas. No experience (or talent) necessary! 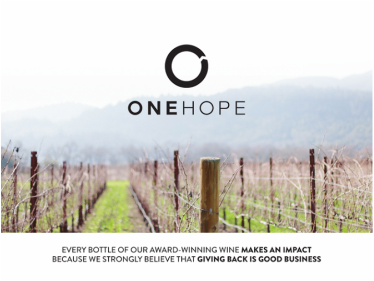 Delicious wine tastings are included in the price of your event ticket by ONEHOPE wines. We are already building our silent auction list! You would like to donate? Please see below! Donations from some more wonderfully generous small businesses and individuals! Interested in Sponsoring or Donating to Our Event? We would love to hear from you. Email samantha@tlfcci.org or you can call Samantha at 805-990-3351. More information below as well! The Donor Letter and Form has all of the pertinent information you need to submit your generous donation. Not only will we talk about you and your generosity at the event, we will publish it on our website, with your logo and link to your website, and regularly share on our business and as well as the boards personal social media accounts.